Betula pubescens (syn. 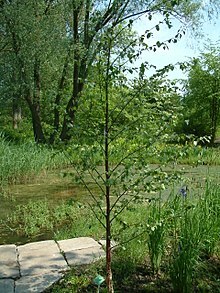 Betula alba; douny birk) is a species o birk, native an abundant throughoot northren Europe, Iceland, northren Asie an Greenland. ↑ Shaw, K.; Roy, S.; Wilson, B (2014). "Betula pubescens". The IUCN Red List of Threatened Species. IUCN. 2014: e.T194521A116337224. doi:10.2305/IUCN.UK.2014-3.RLTS.T194521A2344298.en. Retrieved 10 January 2018. This page wis last eeditit on 20 Mey 2018, at 06:21.